Organic Veg Club: Burscough Community Farm Launch Event - we are changing our name. 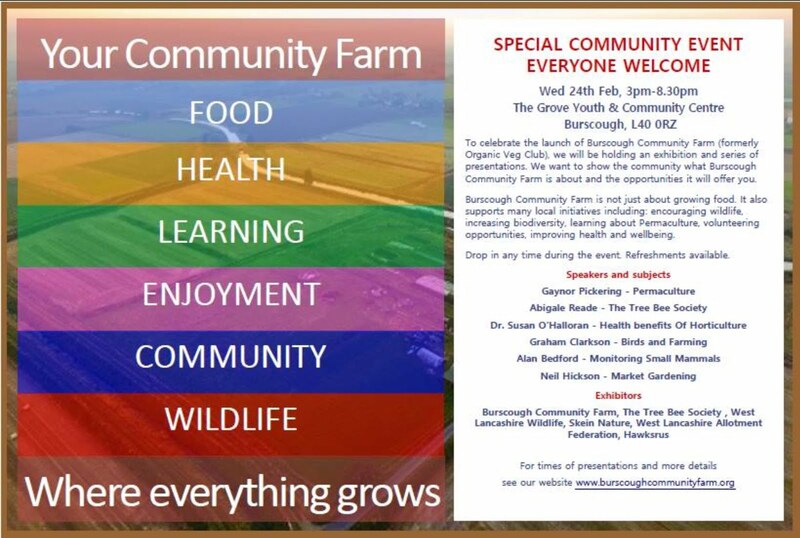 Burscough Community Farm Launch Event - we are changing our name. Click onto the image to enlarge. For some time now we have been thinking of changing our name. Organic Veg Club described what we have been up to for the last two growing seasons, but it feels a bit exclusive and not very inviting. 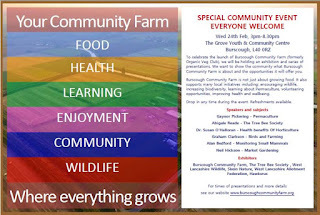 We are changing our name to Burscough Community Farm as we feel that it represents what we are about. It is a community that has built this farm and a community that has supported us through the recent difficult times of the flood. If you are in the area on Wednesday 24th February, please call in and say hello. We are at The Grove Youth and Community Centre, Station Approach (opposite Tesco), Burscough, L40 0RZ from 3pm until 8:30 pm.